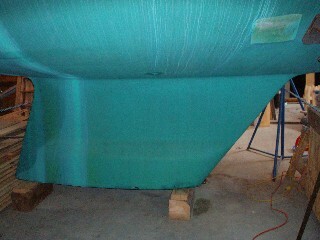 built by Yacht Constructors Inc in Portland, Oregon. 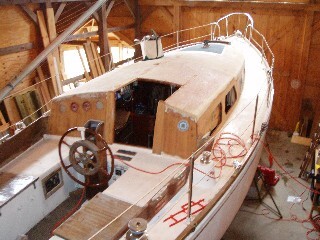 It was originally bought as a bare hull and finished by the original owner. 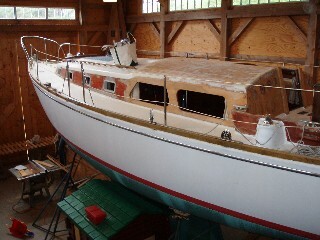 The boat has been stored indoors since 2000. The boat was fully functional at the time I purchased it, but the cabin top showed some delamination. The cabin top is stripped back to bare wood. The companion way hatch has been removed. The cabin top plywood is in good condition and needs to be covered with fiberglass. 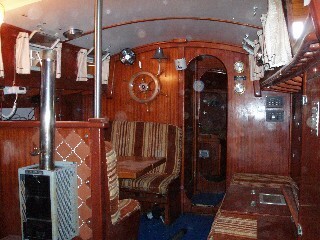 Four new side windows are included with the boat. the cast iron balast which needs to be repaired. The Westerbeke 4-107 has not been started since 2000. All items listed in the survey are included with the boat. Note that the sails are the originals.